​Manchester City manager Pep Guardiola has confirmed Sergio Aguero is fit and in contention to play against Tottenham in Wednesday's crucial Champions League quarter-final second leg. 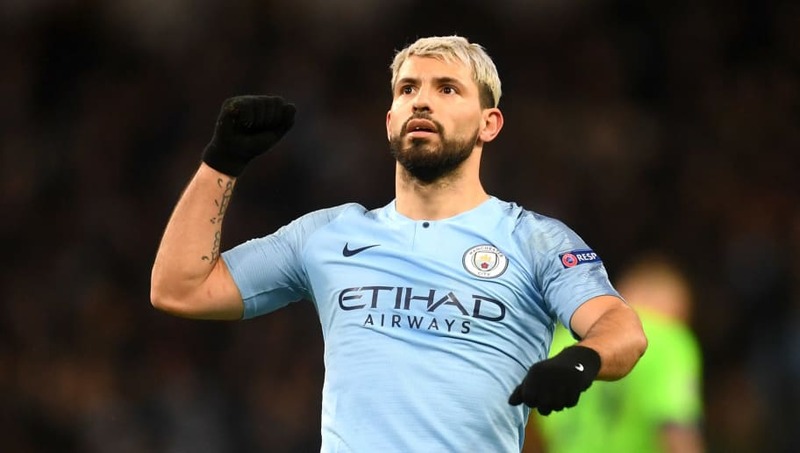 Despite admitting the 30-year-old was perhaps below his best, ​City boss Guardiola seemed to indicate the striker would once again be expected to lead the line against Spurs at the Etihad Stadium. Speaking in his pre-match press conference, he said (as quoted by the ​club's official website): "​Sergio Aguero is fit. He needs competition, and needs a little time to get to his best condition. Tomorrow is not about physical condition. We want to get to the semi-final, that is the challenge." With the chase for the 'quadruple' still on, Guardiola admitted that defeat on Wednesday and another slip-up in the ​Premier League when they take on Spurs again at the weekend would end any hopes of achieving the feat.